Dia de los Muertos is a holiday in which some folks honor their dead loved ones, while the mandala is said to serve as a tool on our spiritual journey as it symbolizes cosmic and psychic order. 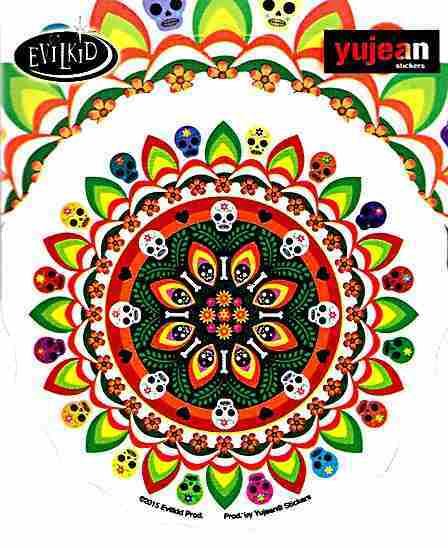 Keep your departed loved ones in your heart as you move along on your spiritual journey with this Dia de los Muertos Mandala sticker. This sticker measures approximately 4.5" in diameter.